The yellow gold wedding ring option is a popular choice as it combines both traditionalism with style. 18 carat gold is made up of 100 parts and 75% or 75 parts are pure gold the other 25% or 25 parts are other alloys that are added in to the metal to bring its purity to the required standard, (for your information 9 carat gold far cheaper than 18 carat gold however is only 37.5% pure and 62.5% other alloys that is why we tend to keep away from 9 carat gold). 18 carat yellow gold is a strong metal and will take everyday wear and tear in its stride however subjecting your 18 carat yellow gold to excessive wear and tear will damage your wedding ring, we strongly advise you remove your wedding ring when participating in manual tasks (and yes this includes working out at the gym). This metal is a cheaper alternative to a Platinum wedding ring however requires rhodium plating to maintain its white colour, this is due to the fact that white gold is made from yellow gold and is essentially “bleached” white when it is in its molten or liquid stage, the rhodium plating provides a showroom white colour which in time will need to be re- rhodium plated. A common factor for the rhodium plating to be removed is by the wedding ring being subjected to repetitive manual work, it has even been noted that such a small thing as changing gear in the car will knock the wedding ring and slowly remove the rhodium plating. When we source our white gold for our wedding rings it is essential to us that we use British standard white gold as the other alloys it is mixed with is a higher standard therefore once the rhodium plating has worn off the “white gold” will only have a very slight yellow look, most people struggle to notice this. There are cheaper white gold options and are generally imported from the far east this is generally a mixed with cheap alloys which produce a stronger yellow tint to the white gold. Although British and far east gold is hallmarked at the Assay Office the cheap metal will still pass the tests however you will not realise the original colour until you have worn the wedding ring for a period of time for it to show its true colour. By far the most popular choice of the white metals, platinum is 95% pure the other alloys include palladium which is used as the “bleaching agent”. Although we rhodium plate platinum this is generally to give the ring a extra bright “showroom finish”. Unlike 18 carat white gold wedding rings once the rhodium plating has worn off the natural colour of the platinum comes through and maintains its white colour. A very strong metal however as with most things it is not indestructible and a common perception is that you cannot damage or scratch platinum wedding rings, this is a common misconception and has been passed around like “Chinese whispers”, the truth is that platinum wedding rings will scratch and can be damaged however it takes a hefty impact or repetitive action for this to occur. Palladium is a relatively new metal in jewellery and has recently been given the “Precious Metal Approval” from the Assay Office. Palladium is a member of the Platinum and is a white colour it is stamped as 950 and is also 95% pure. Palladium has been brought to light in recent times due to the increasing gold and platinum prices, although since becoming a precious metal and having to be hallmarked by law it has also began to rise in price. Palladium is a similar price to 18ct gold now and has its bonuses. The main bonus is that as it is a member of the platinum family it has a naturally white colour and will not require rhodium plating, although some companies will rhodium plate platinum and palladium to give it the “showroom finish” look. Another great bonus is that because Palladium is a member of the platinum family it is also Hypo –allergenic. Palladium is a very strong metal however is rarely used in ladies jewellery due to the fact it is harder to work with and has been known to ruin jewellers tools, which will in turn pass the cost on to the consumer. Even though Palladium is so strong it can still be damaged and scratched so we strongly advise you to remove any jewellery bufore undertakig any manual tasks e.g. gardening, Gym (Lifting Weights)…. The most popular shape of wedding ring is a Traditional Court Shaped wedding ring, they are rounded on the inside and the outside is a similar shape to the D Shaped Profile wedding ring. The rounded nature of the wedding ring provides a comfortable fit for many people. Many people prefer the Slight Court profile wedding ring due to it having a slight curve on both the inside and outside of the ring. It is the ideal wedding ring if you can’t decide between the Flat Court wedding ring or the Traditional Court wedding ring. 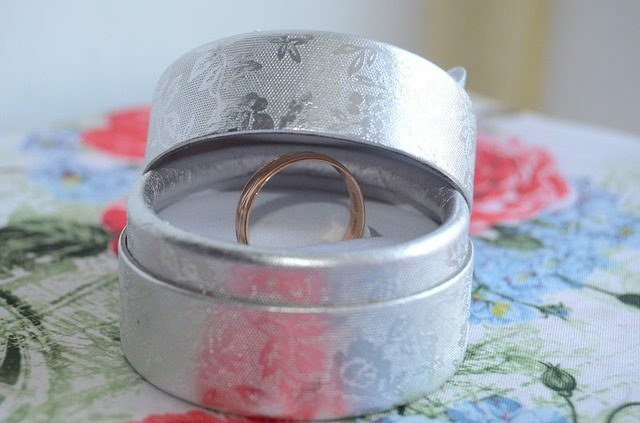 The edges have a blunt curve to them that makes the wedding ring very comfortable to wear. 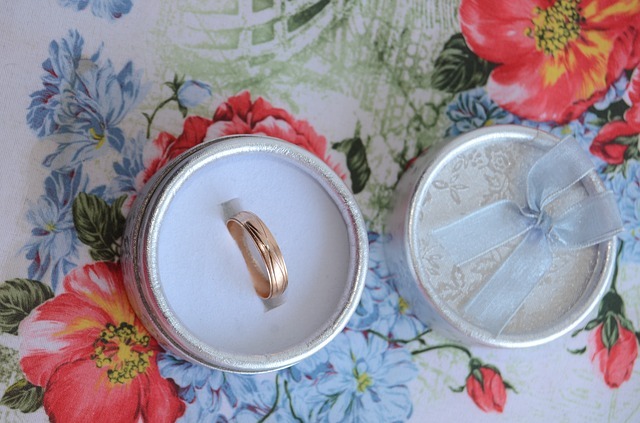 The D-Shaped Wedding ring is flat on the inside and rounded on the outside. Many people have a d-shaped engagement ring profile so it looks great if you choose a wedding ring of the same profile. 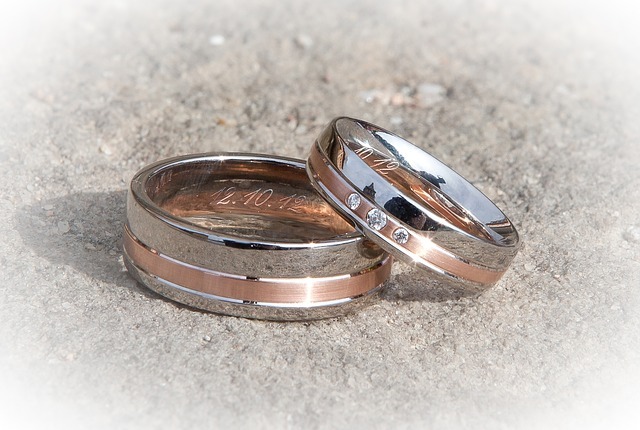 The Flat court wedding rings, are flat on the outside and rounded on the inside for extra comfort. 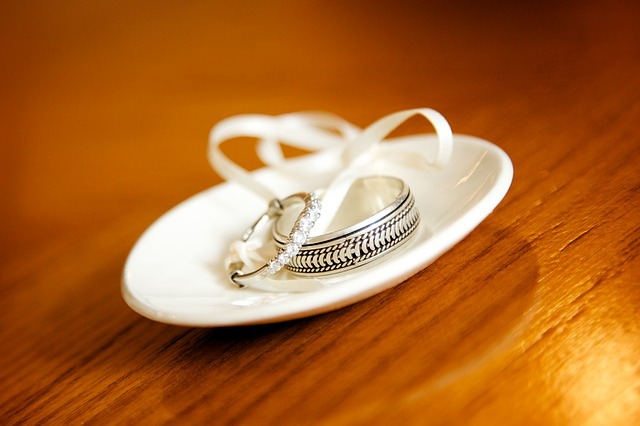 Although the flat-court wedding rings are slightly more expensive, they are said by many people who try them on to be more comfortable at the edge, but with a slightly heavier feel.